Everyone plays an important role in maintaining a healthy environment at your school. 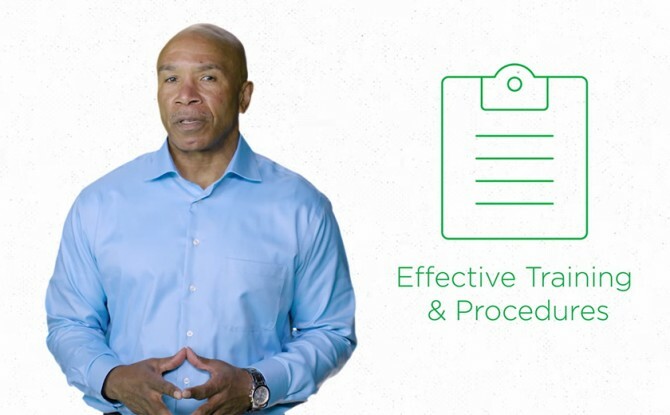 This video, produced by Healthy Schools Campaign and our partner, Education Facilities Clearinghouse, will show you how to engage students, teachers, administrators, unions and contractors to share that responsibility. Download the full guide on our website. This video is part of a series that’s intended to be shared with school stakeholders via email or at meetings, played during training sessions, and even shared on social media to spread the word about green cleaning throughout the larger school community. View and share all six videos through the EFC’s YouTube channel. You can easily download our 5 Steps to Green Cleaning in Schools to dive deeper into each of these topics.